Catholic Boy and Girl Scouts from around the diocese gathered to celebrate their faith in action March 3 at the annual Scouting Court of Honor Mass and Awards Ceremony held in St. Mary of the Assumption Cathedral, Trenton. 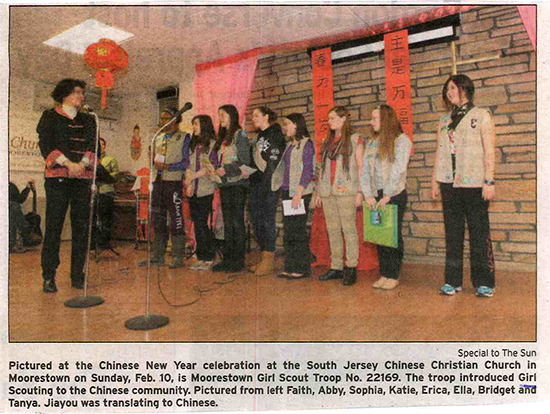 Some 70 young men and women and their adult Scouting leaders were recognized with medals, ribbons and emblems by Msgr. John K. Dermond, judicial vicar, office of Canonical Services and Tribunal, and Father Michael A. Santangelo, diocesan Scouting chaplain and pastor of Epiphany Parish, Brick. Instituted by the National Catholic Committee on Scouting more than 30 years ago, the religious awards program confers recognition upon the efforts of scouts ages six and up who incorporate their Catholic faith into their daily lives. Both individuals and troops undertake projects which focus upon Church and community and result in diocesan level and national awards. The uniform-clad scouts raised their right hands as they repeated their oaths to serve God and country, then stepped forward proudly to receive awards such as the “Marian Medal” and “I Live My Faith” for girls, and the “Ad Altare Dei” and “Pope Pius XII” emblems for boys. Adult leaders were also recognized for their contributions in faith development with the “Christ the King” or “Bronze Pelican” awards. 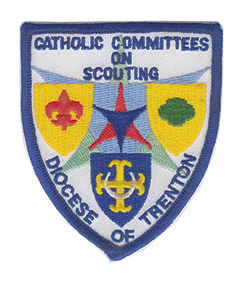 The Diocese of Trenton Catholic Committees on Scouting encompasses the Central New Jersey, Jersey Shore, Burlington County and Monmouth County Boy Scouts of America Coun­cils; and the Delaware-Raritan, Monmouth, South Jersey Pines and Ocean County Girl Scout Councils. 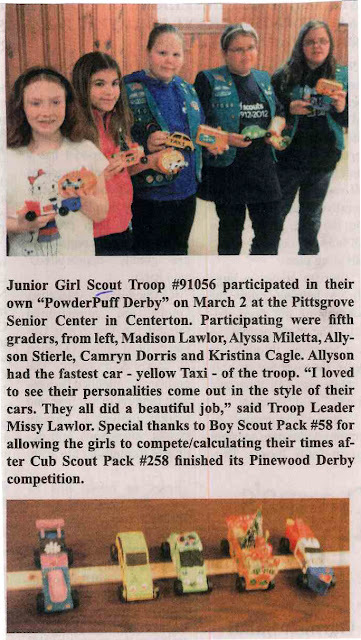 The diocesan committees also hold an annual Boy Scout/Girl Scout retreat weekend, this year to be held beginning April 5 at the Pine Tree Scout Camp in Tabernacle. For further information on the program, visit www.dotccs.org. For a listing of awards and recipients please click here. 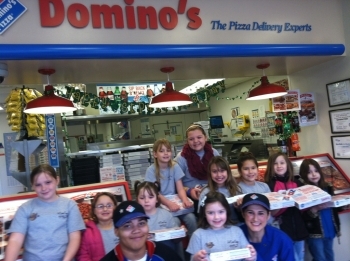 VILLAS- On March 16, Girl Scout troop #44967 visited Domino's pizza in Villas. By making their own pizzas, the girls learned about the business and production aspects of the facility. Don't forget to check out the video series It's Your Business-Run It!